While we like to give humanity the benefit of the doubt, sometimes you just have to face the facts that there are a lot of weird and interesting people out there. A lot. And to prove it, we have photographic documentation that shows just how bizarre people can be, and even more so, that these people have found love with others just like them! 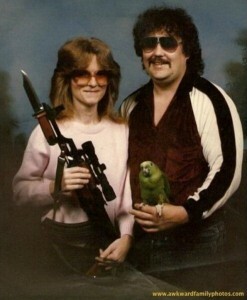 Check out the 20 most embarrassing couples photos on the internet and try to keep a straight face–It’s impossible!